We all make faces when we are asked to drink a glass of milk but that changes the moment when we gulp down a bottle of a yummy milkshake without even thinking of sharing even a drop of it! 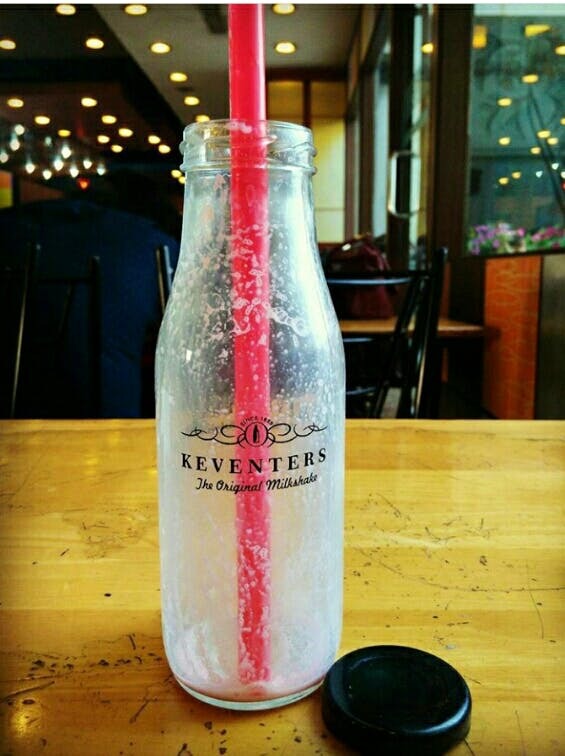 Yes, milk can taste heavenly when you are at Keventers. With a range of exciting flavours to choose from, Keventers assures its customers a chilled soothing pleasure each and every single time. From classic shakes to fruity shakes and experimental thick shakes, the makers of 'the original milkshake' ensures a mouth-watering distinct taste of all their milkshakes. Plus, they are available in small and large sized bottles. There's practically no seating available at their Ballygunge outlet. Their milkshakes are simply magical and everyone who loves shakes must try them out.